J.D., Thomas Jefferson School of Law, San Diego, CA (2013). 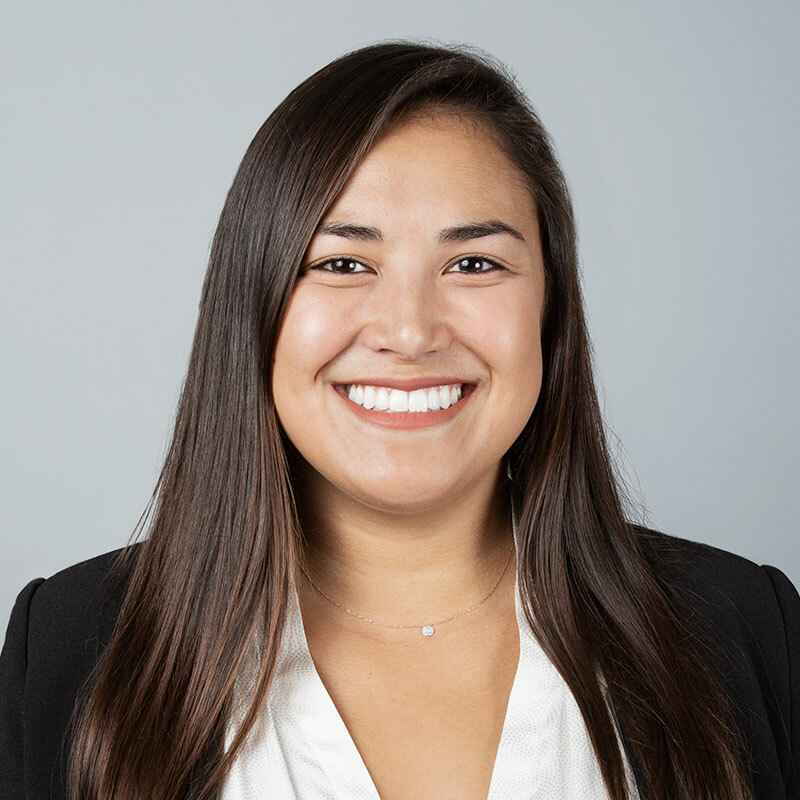 An associate in the firm’s San Diego office, Ms. Andrews joined the firm in 2015. Ms. Andrews’s areas of practice include general civil defense litigation including insurance law, defense, and coverage; auto negligence; premises liability; personal injury defense; and construction defects. Before joining the firm, she gained experience by clerking at an insurance litigation defense firm in Palm Desert, CA. During law school, she worked at the Small Business Law Center in the Community Economic Development Clinic at Thomas Jefferson School of Law and was also a Small Claims Court Mediator at the Superior Court of California – South County of San Diego. State Bar of California, the Desert Bar Association, the San Diego County Bar Association and the Riverside County Bar Association. Ms. Andrews attended SDSU and was a member of the Kappa Alpha Theta Sorority. She graduated on the Dean’s List with a Bachelor of Arts in Political Science and a Bachelor of Science in Hospitality Tourism Management. She received her law degree from Thomas Jefferson School of Law and was on the honor roll and distinguished honor roll. She was awarded the American Jurisprudence award and the CALI Excellence for the Future award for Legal Synthesis I and II, and Race and Gender in Sports Law. At the age of 26, she passed the California Bar Exam and was admitted to the State Bar of California in December 2014. While in college, Ms. Andrews studied England’s Legal System abroad at Oxford University in England, and while in law school, she studied International Law abroad in Hangzhou, China; Nice, France; and Buenos Aires, Argentina. When Ms. Andrews is not practicing law, she enjoys traveling internationally, engaging in competitive sports, Crossfit, snowboarding, running half marathons, and visiting friends and family.